Slowbro in game: 652 Who? Important notice! Pokemon Slowbro is a fictional character of humans. Slowbro is a bipedal, pink Pokémon with a tan, striped belly and a tan muzzle. It has large, vacant eyes, curled ears, and two pointed teeth protruding from its upper jaw. On its hands, it has three clawed fingers, and two clawed toes on its feet. 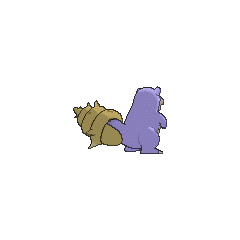 There is a Shellder attached to its tail. This Shellder has a gray, spiraled shell with darker gray spots. 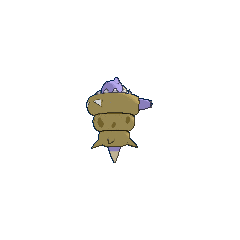 There are several spikes across the surface of the Shellder, and it holds onto Slowbro with many sharp teeth. 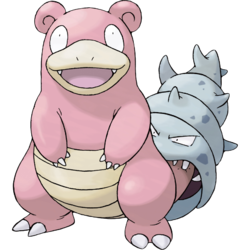 If the Shellder is knocked off, Slowbro will revert to its unevolved form. When Slowbro Mega Evolves into Mega Slowbro, it becomes engulfed by the Shellder to the point where only its head, arms and tail are visible. 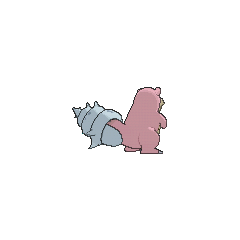 The spiral Shellder now has an opening at its tip, allowing the tail of Slowbro to stick out, which it balances on due to its legs being engulfed. It can move by bouncing, using its tail as a spring. 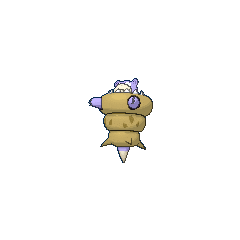 The spikes on the Shellder are now reduced to four on the bottom section of its body, with the dark spots only visible on its middle section. Mega Slowbro's energy has gathered into Shellder, which has increased its hardness. This allows it to act as an armor so hard that nothing can scratch it. Professor Westwood V had a Slowbro that evolved from a Slowpoke in The Evolution Solution. Prima used a Slowbro to help Ash get his Charizard under control in The Mandarin Island Miss Match. A Slowpoke evolved into Slowbro in Enlighten Up!. Several Slowpoke evolved to Slowbro against their will in A Crowning Achievement. A Slowbro under the ownership of Solidad first appeared in May, We Harley Drew'd Ya!. It made further appearances in Thinning the Hoard!, and Channeling the Battle Zone!. A Slowpoke that Ash's missing Pokémon asked for help evolved at the end of Island of the Giant Pokémon. 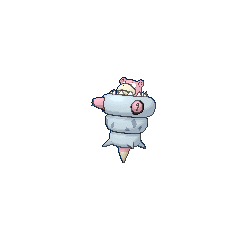 Slowbro made minor appearances in Pokémon Fashion Flash, Pikachu's Vacation, Pokémon Paparazzi, A Friend In Deed and Best Wishes Until We Meet Again!. 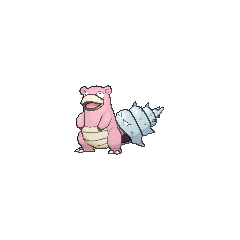 Multiple Slowbro made a minor appearance The Power of One. Slowbro has appeared in the openings of Celebi: Voice of the Forest, Pokémon Heroes: Latios & Latias, and Lucario and the Mystery of Mew. A Slowbro that can Mega Evolve into Mega Slowbro appeared in Mega Evolution Special II. EP244 Slowbro Ash's Pokédex Slowbro, the Hermit Crab Pokémon. 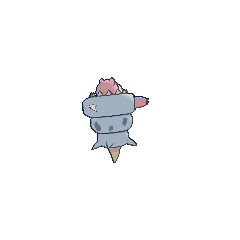 Slowbro are able to use powerful Psychic attacks but generally prefers to avoid conflict. Slowbro first appeared in Sigh for Psyduck as a corpse used by Koga's Gastly. 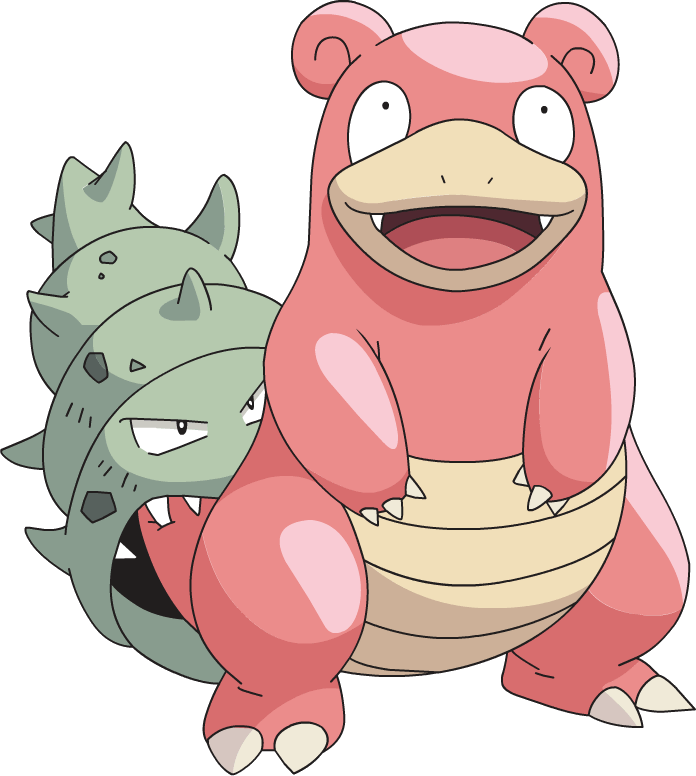 Slowbro's first real appearance was under the ownership of Lorelei in Playing Horsea where many were used for her Ice-type army. With the Shellder clamped onto its tail, Lorelei explains that her Slowbro has sharpened senses and is capable of looking in all directions, thanks to the extra pair of eyes, allowing it to discover Green's ploy using Horsea. 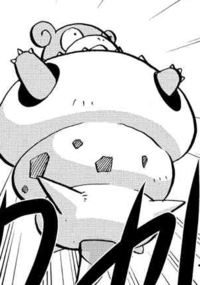 In the Omega Ruby & Alpha Sapphire chapter, Jinga, a Draconid, used a Slowbro to fight against Ruby in Omega Alpha Adventure 6, and later Mega Evolved it into Mega Slowbro in Omega Alpha Adventure 7. Mega Slowbro is tied with Cloyster for the highest Defense base stat of all Water-type Pokémon. This is the only mentioning of a Pokémon possibly devolving anywhere in the Pokémon games, aside from a card in the game versions of the TCG.